Food allergies can be tricky to manage, especially when you’re away from home. If you or your teenager is getting ready to head off to college in the coming months, it’s time to schedule an appointment with the allergy doctor. He or she will review your food allergy management plan and update it for the college campus environment. An allergy specialist is your best source of information regarding how you should handle the dining hall and who you should tell about your food allergies. Notify school officials about your needs. As soon as you enroll in a school, you should contact the campus disability services office. Let them know about your food allergy and find out about the available accommodations. The disability services representative can be your liaison with the staff at the dining hall, health clinic, and residential office. However, you should also speak directly with the dining hall staff. Schedule an in-person meeting with the director or manager of dining services. Discuss your food allergies and accommodations. If you do have an allergic reaction to the dining hall food, contact the dining hall and disability office to follow up. Talk to your roommate and RA. Set up a plan with your roommate for keeping food separate. You should also talk to the resident advisor (RA) for your floor. If permitted by the school, show the RA how to use the auto-injector in the event of an emergency. Don’t forget to take your auto-injector with you everywhere. Most campus dining halls will post menus online. Check them daily and make a note of allergen information. Don’t eat anything unless you’re certain of the ingredients. You should also check the online menus of any restaurants you plan to patronize. Get the complete care you need at Allergy & Asthma SpecialistsSM. We treat patients with food allergies in the following areas: Blue Bell, Center City, Lansdale, Philadelphia, Jenkintown, Pottstown, King of Prussia, and Collegeville, Pennsylvania. For assistance managing food allergies while in college, you can call 1(800)86-COUGH and request an appointment. Chronic sinusitis involves the inflammation of the sinuses. The condition can make everyday life challenging and uncomfortable for patients. Since many patients with chronic sinusitis also have allergies or asthma, allergy doctors have expertise treating this condition. In addition, smokers and those exposed to secondhand smoke are at an increased risk of sinusitis. Patients may also find relief by using a humidifier in the home, avoiding chlorinated pools, and avoiding exposure to cigarette smoke and air pollution. Occasionally, surgery may be needed if the condition is caused by anatomical issues. Board-certified allergy doctors comprise the physician staff here at Allergy & Asthma SpecialistsSM. We offer compassionate care and effective treatment plans for patients with sinusitis, allergic rhinitis, and asthma near Blue Bell, Center City, Lansdale, Philadelphia, Jenkintown, Pottstown, King of Prussia, or Collegeville, Pennsylvania. Get in touch today at 1(800)86-COUGH. 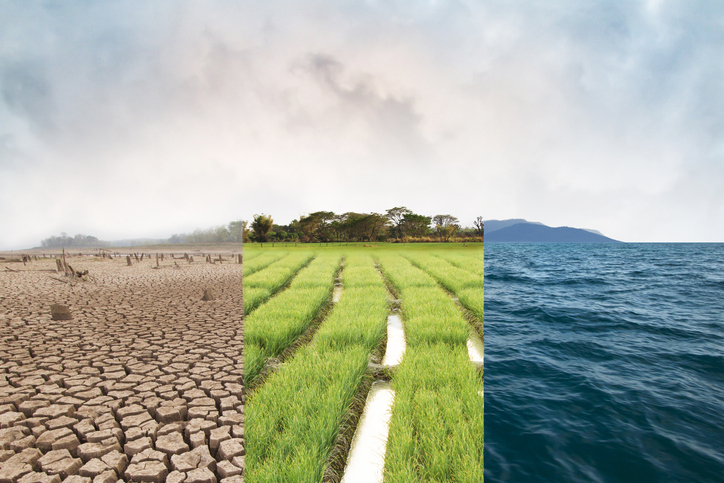 Climate change is a major shift that affects the entire world. But it can also have adverse effects on a local level, such as by increasing the number of patients seeking allergy treatment. Watch the accompanying video to hear an expert discuss why climate change is causing allergies and asthma to worsen. Since climate change brings more frequent and severe storms and floods, it has a direct effect on the mold in the environment. Mold allergies and asthma attacks are the result. Additionally, as levels of carbon dioxide increase, pollen production also rises. This triggers seasonal allergies. 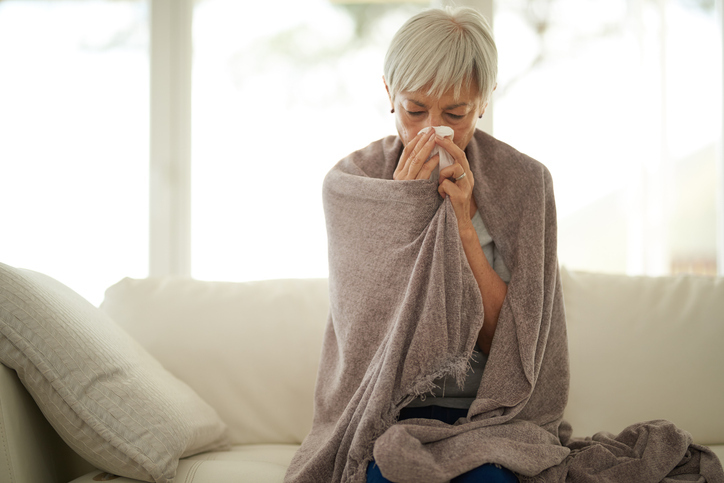 If you suffer from seasonal allergies, consider seeing an allergy specialist in Blue Bell, Center City, Lansdale, Philadelphia, Jenkintown, Pottstown, King of Prussia, or Collegeville, Pennsylvania. You can schedule an appointment regarding asthma or allergy treatment by calling Allergy & Asthma SpecialistsSM at 1(800)86-COUGH. Asthma treatments, such as inhalers, are only one part of your complete asthma management plan. Your asthma doctor will also help you learn how to prevent symptom flare-ups and complications. One important way to protect yourself is to get a flu shot at the start of every flu season. As a patient with asthma, you’re considered at a high risk of suffering from flu-related complications, including asthma attacks and pneumonia, which may require hospitalization. 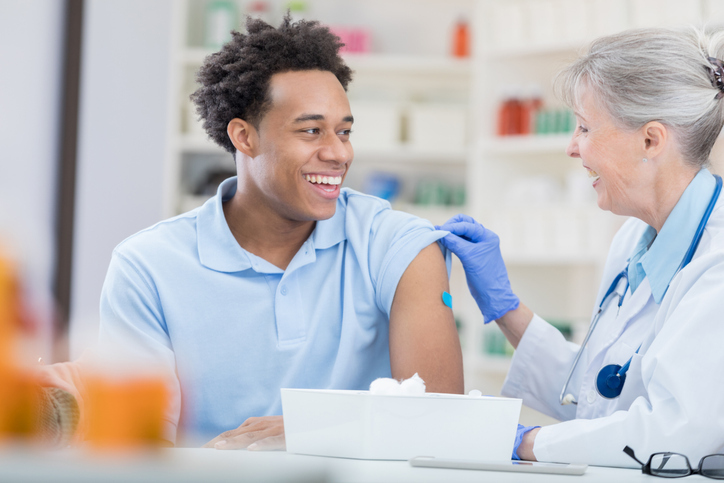 Although the flu shot is the most effective way to prevent transmission of the flu, you should still take other precautions. Wash your hands often, and try to keep your distance from people who are sneezing or coughing. Avoid touching your nose, mouth, and eyes because doing so will transfer germs to the mucous membranes. If you do contract the flu, see your doctor or go to an urgent care clinic right away. Anti-viral medications can help lessen the symptoms. At Allergy & Asthma SpecialistsSM, your health is our top priority. New and current patients can call 1(800)86-COUGH to request an appointment with an asthma doctor in Blue Bell, Center City, Lansdale, Philadelphia, Jenkintown, Pottstown, King of Prussia, or Collegeville, Pennsylvania.